"Deposit Money on believe instead of believing on Money"
In 1925, the International Co-operative Alliance has adopted the beautiful seven colored pattern of the Rainbow horizontal strips as its International Flag, the Flag of Co-operation, progress and peace. The Flag has seven colors. 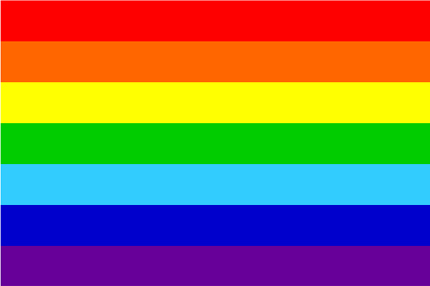 They are: Voilet, Indigo, Blue, Green, Yellow, Orange, and Red – the colors of Rainbow. It is thus a symbol of hope, a harbinger of peace. Men see co-operation in its multi-colored pattern, each color blending with the other to make one harmonious whole and ultimately all pervading harmony- unity in Diversity. It symbolizes the aims and ideals of the cooperative movement. Like the Rainbow, Co-operation brings hope to the depressed, achieves harmony among diverse interests and offers the promise of an ultimate and universal peace. Co-operator by their own effort, inspired by a sense of fraternity, equity and love of the social justice, strive to remedy the past and create a new economic system – a system in which capital plays the role of servant instead of master, the object of production is organised self – help instead of profit and human dignity is given the pride of place for achieving a more equitable and efficient economy, better social adjustment and a more balance system of democracy.